Optical imaging usually refers to imaging that uses light in the visible and infrared regions of the electromagnetic spectrum (Figure 1). Broadly speaking, optical imaging can be divided into 2 major sub classes: fluorescence imaging and bioluminescence imaging. The instrumentation required is largely identical for both methods, with three central components: a light source (in bioluminescence the sample itself acts as the light source, see below), filters to allow selection of the appropriate wavelengths and a detection system (usually a charge coupled device (CCD) camera array). While both techniques rely upon detection of photons (light) generated selectively in the cells or tissue of interest, the mechanisms by which this light is produced differ. In bioluminescence, light is produced biochemically due to the presence of an enzyme that has been artificially introduced into the cells/tissues of interest. In fluorescence imaging the light is produced due to formation of an excited state of a fluorophore by absorption of incident light. The basic principles and strengths and weaknesses fluorescence and bioluminescence imaging are outlined below. Fluorescence is a physical process in which absorption of light at a specific wavelength stimulates the formation of a high energy, excited state in a susceptible molecule. This high energy excited state is energetically unfavourable, and for the excited molecule to re-enter it's energetically favourable ground state, energy must be released. This energy may be released in a number of ways, but the most common way for an excited state to release energy and revert to the ground state is through emission of a photon (Figure 2). Crucially, the emitted photon is at a longer wavelength than the absorbed photon, allowing distinction between the exciting and emitted photons with relative ease. Fluorescence occurs naturally in a range of biological materials, including NADH, FAD, porphyrins, collagen and elastin. Fluorescence from these endogenous materials is termed tissue autofluorescence. Tissue autofluorescence is of limited use in fluorescence imaging as it is seen in all tissues, i.e. is non-specific, and when observed is usually treated as an undesirable interferant. High specificity imaging is achieved either through the transfection of target cells with reporter genes that code for optical contrast agents or through the selective introduction of exogenous optical contrast agents. The most common reporter genes code for naturally occurring fluorescent proteins or versions of these proteins that have been engineered to improve their fluorescence characteristics (for example to increase the quantum yield or to tune the emission wavelength to a more desirable spectral region). These naturally occurring fluorescent proteins include green and red fluorescent proteins (GFP and RFP respectively). 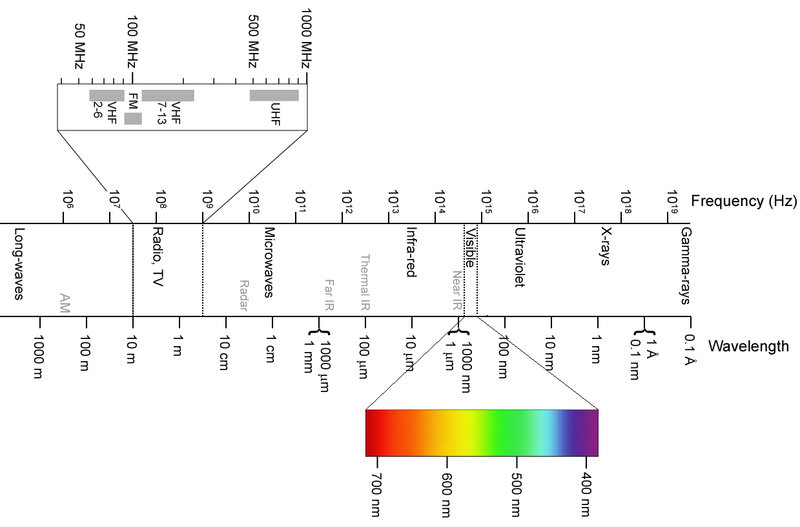 The optical properties of a selection of fluorescent proteins are shown in Table 1. Table 1. Optical properties of a selection of fluorescent proteins. For in vivo imaging studies the choice of reporter gene is governed by a number of factors, including availability of vectors, ease of transfection, efficiency of transcription and in vivo quantum yield, excitation wavelength and emission wavelength. Table 2. Optical properties of a selection of fluorescent dyes. Bioluminescence imaging makes use of the light-generating properties of the enzyme luciferase. Luciferases may be isolated from a variety of sources including fungi, bacteria, insects and marine invertebrates. The substrates, and so light-producing mechanisms, vary by species. Firefly luciferase catalyses the oxidation of D-luciferin to oxyluciferin in a multistage, ATP dependant reaction. It is important to note that as the reaction catalysed by firefly luciferase requires ATP, firefly luciferase can be used to distinguish between living and dead cells. Renilla luciferase catalyses the oxidation of coelenterazine to coelenteramide. Bacterial luciferases catalyse a reaction in which a flavin mononucleotide oxidises a long chain aliphatic aldehyde to an aliphatic carboxylic acid. These reactions are summarised in Figure 3. Figure 3. Simplified mechanisms of action of common luciferases. As with red and green fluorescent proteins, luciferase is not expressed in mammalian tissues, and bioluminescence studies therefore require incorporation of the gene for the appropriate luciferase into the target system.